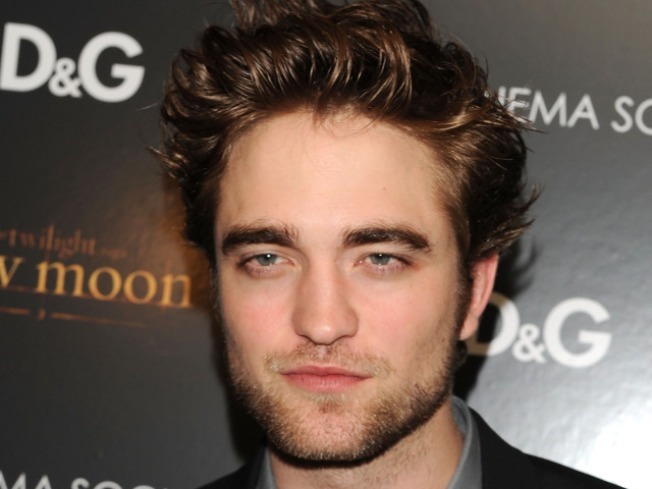 The "Twilight" star made a trip to Naperville, Ill.
One Naperville, Ill., family got a Robert Pattinson-sized surprise earlier this week. Maria Mele and her family were visited by the "Twilight Saga" star on Tuesday night in a surprise visit organized by "The Oprah Winfrey Show" and taped for the upcoming May 13 episode, according to People. "[My family and I] all lost it," the Twi-hard mom told the mag. "[We were] screaming like a bunch of maniacs. We were all amazed that he was in our house." Mele had previously submitted her story of "Twilight Saga" fandom to Oprah's show and was expecting to do a Skype interview with the TV talker – not meet the family's idol. The mom told the mag that Oprah's people had been impressed by her family's Cullen-like look. "They were so amazed how my son Guiseppe looked so much like Edward," she said. Of Robert's visit to their home, the mom had nothing but praise. "[He] was great," Mele said. "So nice. Funny. And so tall! He was beautifully flawless and a great sport… It's something we will never forget." The family also attended the "Twilight"-centric episode's taping. "The Twilight Saga: Eclipse" is due in theaters on June 30.